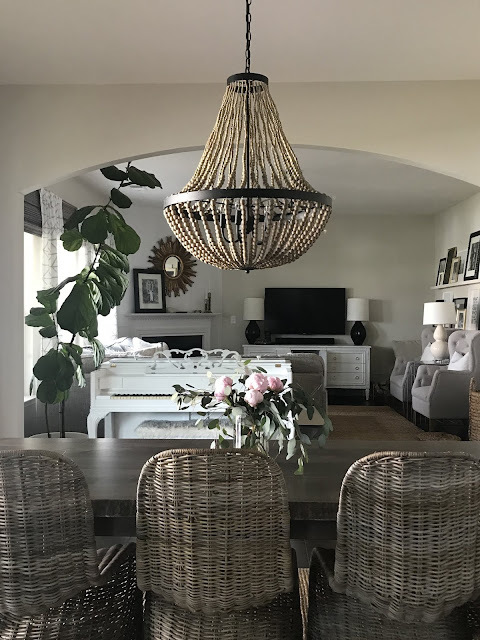 When we upgraded to a larger dining table, the existing light started to feel a little small. I haven't been in any rush to change it, but I've been keeping an eye out for something that might work better. I was also hoping to find something that might provide more contrast with the table/chairs/rug. This is how it looks currently. I saw that World Market was having a pretty big sale and decided to see if they had any good deals. 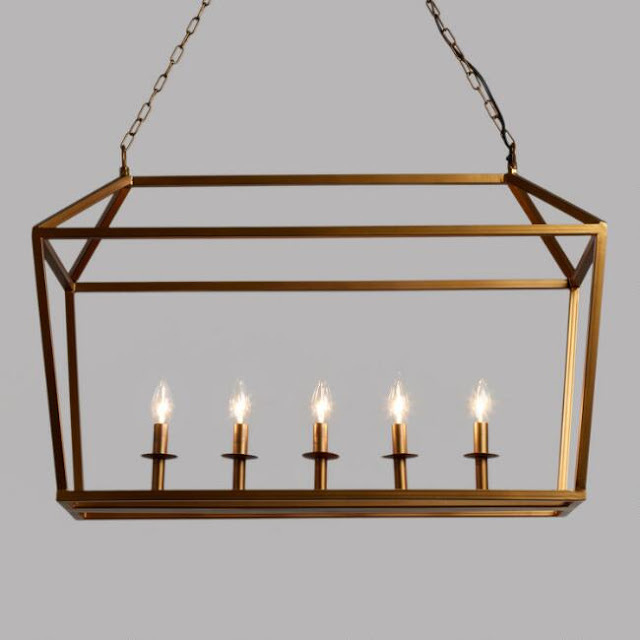 I came across this light and immediately thought of our kitchen dining area. It's already half price, but I had an additional 30% off coupon that I got in the mail which makes it a steal! I've had good luck with World Market lights in the past so I'm hoping this will be a good fit. I'm not sure if I will keep it brass or spray paint it a matte black. Either way I think it will still fill the space without obstructing the view to the living room, which is something I was worried about. I will probably end up selling our existing light which should more than cover the cost of this new light and it should be a better fit. It's a win win! What do you guys think? I'll definitely update you when it comes in! *This post contains affiliate links. As always, I only share things that I love and think you will too! Thank you for your support!